Can Romania Maximize its Potential in a Convoluted Geopolitical Landscape? 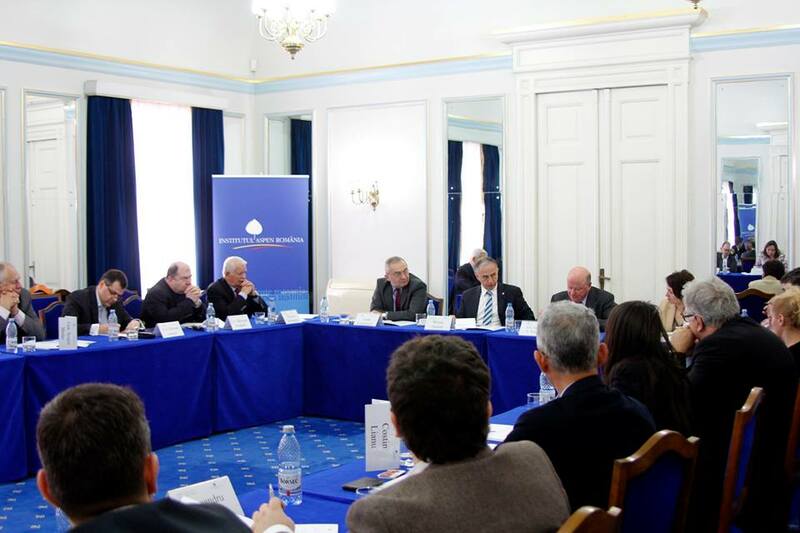 The Aspen Institute Romania (AIR) in partnership with the German Marshall Fund of the US (GMF) are organizing the debate „Can Romania Maximize its Potential in a Convoluted Geopolitical Landscape?”, on April 18, 2015 in Bucharest. The debate will tackle the geopolitical landscape one year after the start of the armed conflict in Ukraine, as well as Romania’s current and potential performance in this context. Romania has the opportunity to relaunch its relationship with its Eastern neighbors as well as share part of its political reform and economic transition experience. The reunion will also debate the strategic instruments through which Romania can maximize its potential as a strategic actor on Ukraine’s Western border and as EU’s gateway towards the East. The reunion will also benefit from the participation of H.E. Frank G. Wisner, International Affairs Advisor at Patton Boggs, LLP. 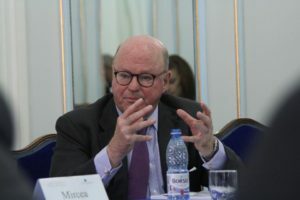 A career diplomat with the personal rank of Career Ambassador, Mr. Wisner has held the positions of Ambassador to Zambia (1979-82), Egypt (1986-91), and the Philippines (1991—92). Mr. Wisner has served in a number of positions in the U.S. government, including Undersecretary of Defense for Policy (1993-94), Undersecretary of State for International Security Affairs (1992-93) and Deputy Executive Secretary of the Department of State (1977).